It’s always difficult when you’ve got the builders in. You can say goodbye to early mornings, and to your tea supplies. But it’s worth it when they’re gone, or at least it would be, if you could see your new kitchen for the mess that’s been left! Clearance London are here to save you. 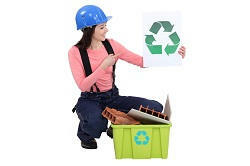 Our builders waste disposal service is the best in London and we offer the best value for money you’ll find anywhere. So don’t let that pile of junk stay in your house any longer, call 020 3795 9576 today and one of our friendly, dedicated employees will be at your door before you know it to remove it all for you. 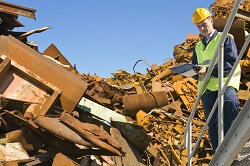 We will take care of all of your construction clearance needs, from door to disposal. You may expect us to ask you to arrange all the waste you need collecting before we arrive, even help us carry some stuff to our vehicles and help loading it on. But we would never even dream of asking you to do such a thing! We are proud of the fact that we provide a total service, from collecting, to loading and transporting, to disposal. So don’t worry about calling round to get different people to handle different parts of your construction waste disposal job, just call 020 3795 9576 and we will handle the entire job for you! We offer free estimates to everybody, with no obligation to buy. If you are unsure whether or not you require our help, or if the work you need doing will be cost-effective, then just call us today, speak to an expert, and receive a free consultation. It won’t take long for you to realise why we are known as the best builders waste disposal company in town! We take on every job with the same passion, dedication, efficiency and speed that we are known for. You don’t have to use our builders clearance service after you receive a quote, but people don’t often decide not to! We Won’t Be Beaten on Price or Quality, That’s a Promise! We provide the best value for money in London. We ensure this by keeping an eye on our competitors and ensuring that we will never be beaten on price, and that’s a guarantee! We don’t believe that offering a lower price should mean you have to sacrifice in quality, that’s why we offer a money back guarantee if you are not 100% satisfied with the service we provide! You have nothing to lose and everything to gain, so call us today on 020 3795 9576 and find out for yourself why everybody considers us to be the best builders waste clearance company in the city of London!